Students enjoying the hot air balloons landing on Johnson Field. 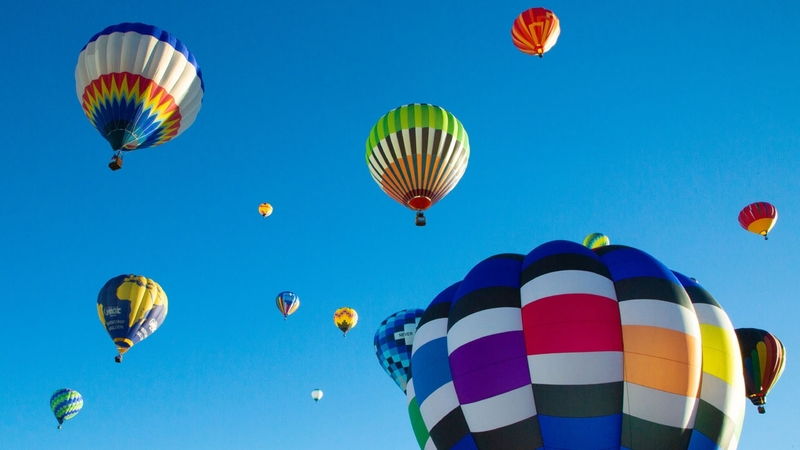 In October, over 600 balloons dot the ABQ sky as part of the annual Albuquerque International Balloon Fiesta. Unique weather conditions make Albuquerque the ideal place for Balloon Fiesta. 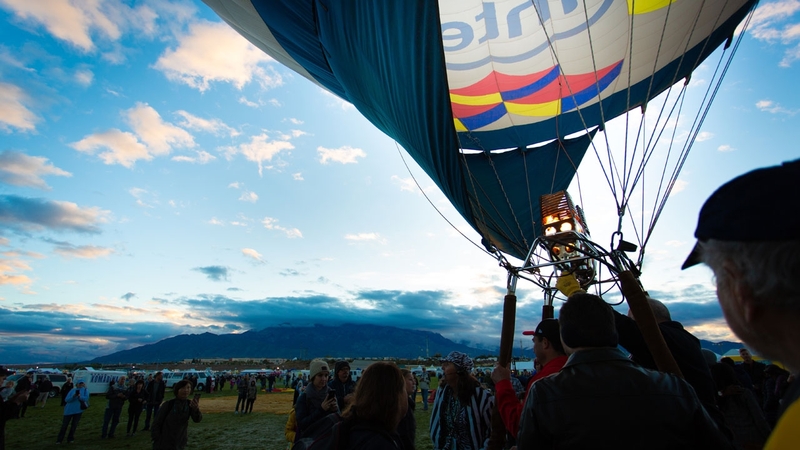 From Oct. 6 through Oct. 14, many Lobos joined over 80,000 people from around the world to watch hot air balloons take to the skies at the Albuquerque International Balloon Fiesta. What started off as a humble gathering of 13 balloons, has turned into a world-renowned attraction that has put Albuquerque on the map. 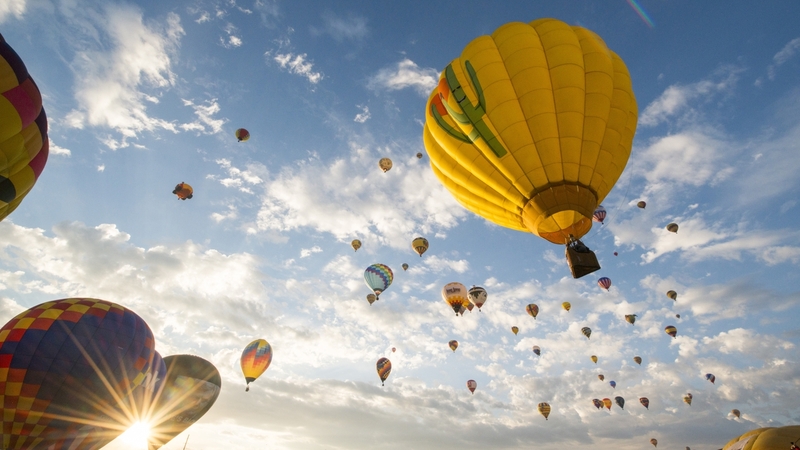 Now more than 600 balloons and 1,000 pilots gather in Albuquerque to take to the skies. The Balloon Fiesta estimates that over 25 million still photographs are taken every year making it the world’s most photographed event. Regardless, the sight of hundred balloons taking off at once is one to be reckoned with. 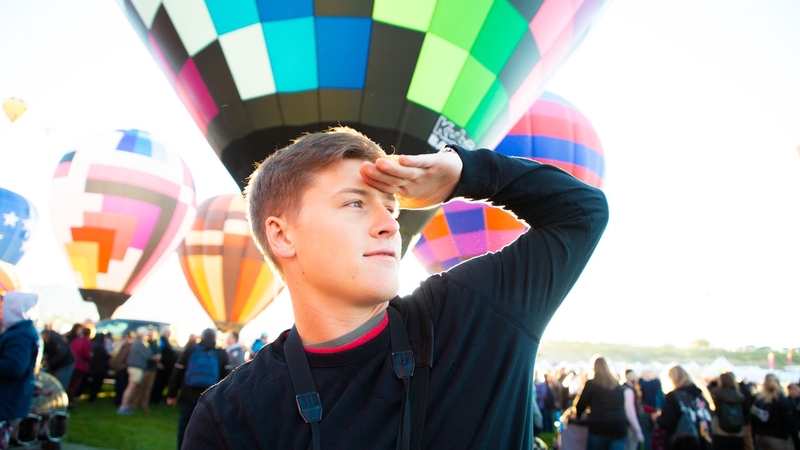 All Lobos experience the Balloon Fiesta one way or another. Many UNM students watch in awe as balloonists land right next to them on Johnson Field on their way to classes. Other UNM students watch out of South Lot and Lobo Village shuttles as balloons go right over their heads to touch down at the Dreamstyle Stadium. Every single Lobo can guarantee they have seen hundreds of balloons dot the sky on their walks around campus. 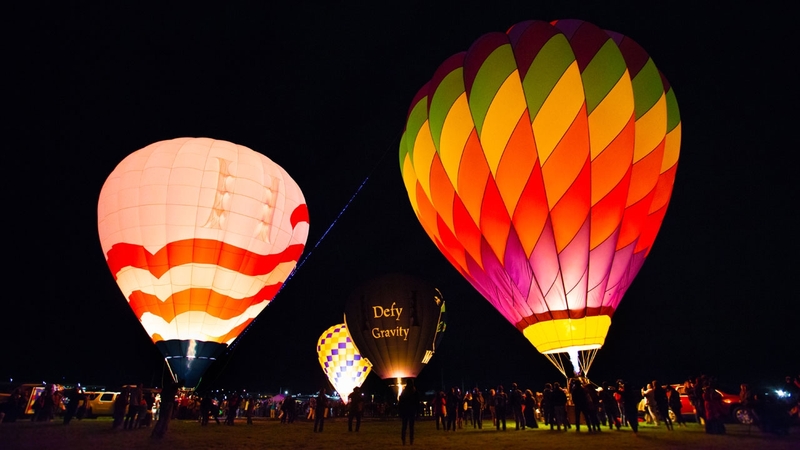 However, a large majority of Lobos just cannot get enough of Balloon Fiesta causing them to wake up before 4 a.m. to head down to Balloon Fiesta Park for a jaw-dropping view of some hot air balloons before their classes. 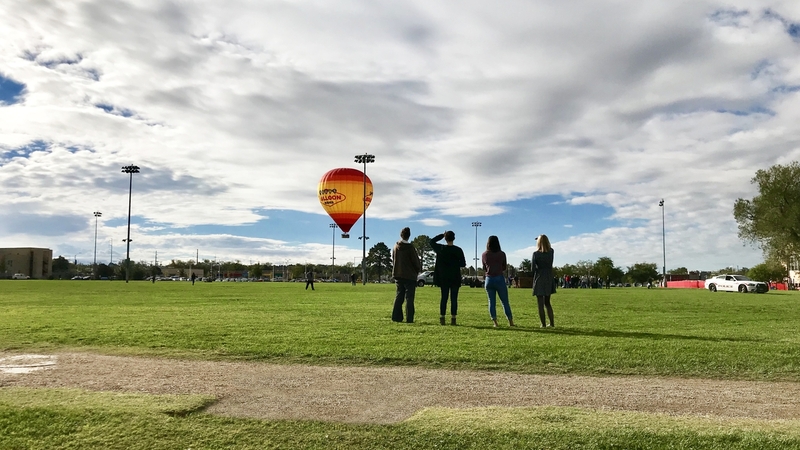 UNM goes on Fall Break from Oct. 11-12, giving Lobos more opportunities at seeing the balloons take to the sky before having to wait another whole year before the next annual Balloon Fiesta.